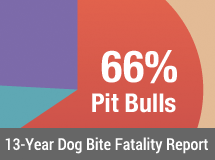 Seattle, WA - DogsBite.org, a national dog bite victims’ group dedicated to reducing serious dog attacks by creating common sense laws, has released its first report on dog bite trends. The report details the occurrence of dog attacks on livestock and horses in the United States from January 1st through May 20th of 2008. The report shows the results of dog attacks on livestock have been devastating. While various breeds of roaming dogs pose a significant threat to livestock owners, the research revealed that only pit bulls have a history of attacking large animals without a partner or group of dogs. Furthermore, without immediate human intervention, pit bulls may not take down just two or three animals, but may continue until they have killed an entire herd. "Another major attack occurred just a few months later in Quincy, Illinois. Three pit bull mixes killed 34 pet deer that were penned. The livestock owners were left with two animals. The valuation of the herd fell from $50,000 to $3,000 in a matter of hours." "Pit bulls are also notoriously difficult to constrain, particularly when in high-prey drive mode. Ample evidence exists that a pit bull can scale a 6-foot fence, break tethering methods -- including chains -- bite through wood slats and chew through metal to reach their target." In the area titled, "Livestock Attacks on the Rise," the report details the Pit Bull Epidemic that occurred in Lubbock County, Texas between January 1st - March 18th 2008. The epidemic did not end until a child suffered serious injuries by a loose pit bull and a senior citizen was mauled by a stray dog that still remains unidentified today. "By March 18th, the death count had reached 23. Animals killed by loose pit bulls included over a dozen goats, three prize winning potbelly pigs and three miniature horses, two of which were therapy animals owned by Hearts and Hooves Ranch. Several more of their miniature horses were left badly wounded. The shocked community raised $10,000 in donations for immediate veterinary costs for Hearts and Hooves. Rarely are livestock owners as fortunate." In the area titled, "Horse Attacks on the Rise," the report warns horse owners that a single pit bull is just as lethal as a pack of dogs to a horse owner. It also reveals that the number of horse attacks in Britain, primarily by pit bull type dogs, has increased so rapidly in the last year that the British Horse Society (BHS) is now tracking them. The report urges US horse organizations to do the same. "This past April, three horses with riders were attacked by pit bulls in nearby parks. The first, an attack on a young Arab-Morgan gelding occurred near Auburn, California. The pit bull attacked the horse's flank first, then locked onto the horse's nose. The gelding flung the dog into a nearby tree before losing balance and sending the 70-year old rider toppling to the ground. 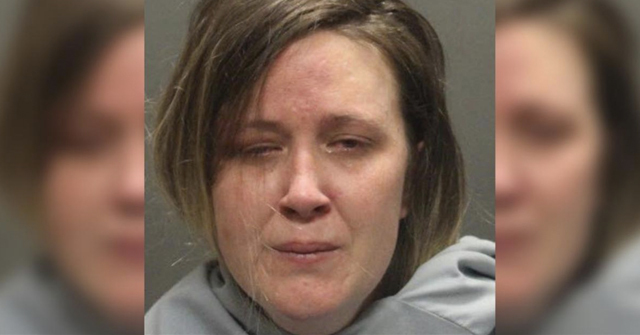 The dog attacked a third time, launching the two animals into a dead run. The horse was found three miles out. 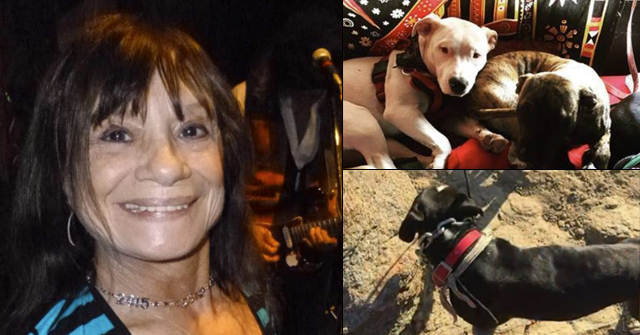 The pit bull and his owner were never found having fled the scene." The latter portion of the report addresses the ineffectiveness of current US dog laws in semi-rural counties, particularly when it comes to animal attacks (as opposed to human attacks). It urges US livestock and horse owners to actively engage in the legislative process to ensure that "animal attacks" are strongly penalized. "By the time a dog is legally labeled a Dangerous Dog (DD), it may have inflicted three attacks. These attacks may result in the loss of many livestock animals. Furthermore, as is often the case with pit bull owners, once the dog is given the DD label the owner will put the dog down. The financial cost of ownership becomes too high. 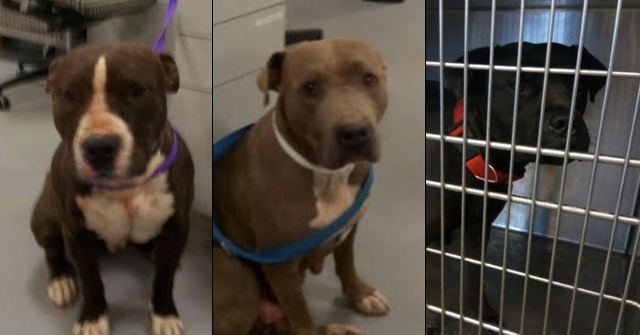 The owner is then free to go out and buy two new pit bulls, and the process starts all over again." Finally, the report reviews a variety of laws that can help protect livestock and horse owners from future attacks including: placing "potentially dangerous" or "dangerous" designations on specific breeds, banning certain breeds and limiting the adoption of these breeds from county animal shelters. The report notes that the state of Ohio, a handful of U.S. counties and about 250 U.S. cities already regulate pit bulls and other fighting breeds. And just so you know, the report was sixth on a google news search for “pit bull” – good job. The net drain on society continues..and more evidence that the pit bull culture has been about nothing but suffering for two centuries.